The addition of stars to Christian Gobrecht’s uncluttered Seated Liberty dime in 1838 had an unwanted side-effect: The design would not strike up completely. It was thought that this was caused by die opposition raised portions of the design opposite one another on each side of the coin. 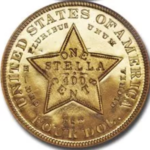 In the case of the Stars Obverse design, the reverse legend UNITED STATES OF AMERICA was opposite the thirteen stars spread around the rim on the obverse. To remedy the situation, in 1860 Chief Engraver James Longacre switched the legend to the obverse and added the so-called “Newlin’s Wreath of Cereals” to the reverse. This wreath was adapted from Longacre’s pattern half dollar of 1859, and it’s suggestion has been attributed to Mint “hanger-on” Harold P. Newlin. The wreath was composed of leaves of corn, wheat, maple and oak, and it would remain in use on dimes, essentially unchanged, until 1916. Unfortunately, Longacre’s design change made little improvement in striking quality, even after he made further minor modifications in late 1860. The Seated Liberty Legend Obverse dime is one of the most popular 19th century U.S. coins and is available in a wide range of grades. 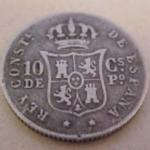 Because of their smaller size, they usually have fewer abrasions than larger denomination coins. When grading this design, friction from circulation first begins to show on the head, breast and knee of Liberty; on the reverse, check the highest portions of the wreath and bow knot. 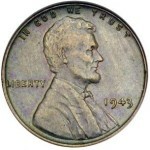 Counterfeits are generally not a problem in the series, but mintmarks are known to have been removed from certain dates and added to others. 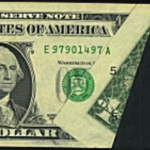 With a total of 24,903 made for the series, proofs are readily available and have often been used in collections when high grade business strikes could not be obtained. They are occasionally available with heavy mint frost on the devices and deeply mirrored fields. These “cameo” coins are very popular with type collectors. 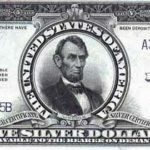 Legend Obverse dimes from the later years 1882 through 1891 are more available than other Seated Liberty coins of this era. As representatives of the design type in general, they span a period of American history that begins prior to the beginning of the Civil War and ends one year after the Western frontier officially closed. 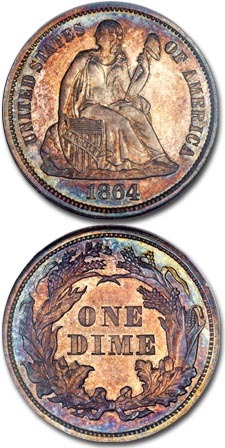 By the end of the 1880s, most people had known no other coins except the Seated Liberty issues. Many called for a new design. In 1892, the long-lasting Seated Liberty motif was finally replaced with the new portrait of Liberty by Mint Chief Engraver Charles Barber.